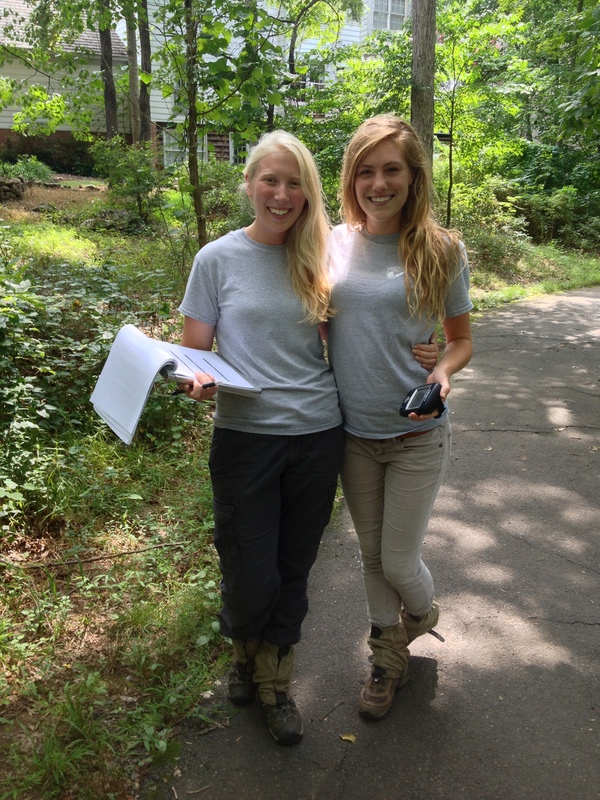 Interns Caitlin Lundquist (right) and Melissa Letosky gathered data in the field. There’s a lot going on in this job! 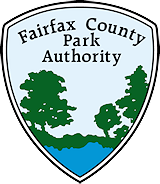 Prior to my internship with the Fairfax County Park Authority, natural resources were an abstract concept for me. Although I considered myself to be a pretty outdoorsy person, I now realize I was practically blind to the nature around me until this experience opened my eyes to the amazing life it contains. I was born, raised and educated in Northern Virginia, and even though I am studying environmental sustainability, I knew so little about the environment in my own backyard. This internship provided the best education I have ever had about the ecosystems in which I’ve lived.While I have volunteered for invasive plant removals in the past, this summer I was able to work on a long-term project to protect the local forest from non-native invasives. Throughout the internship, another intern and I surveyed more than 5,000 acres of forested parkland, focusing on the degree of non-native invasive infestation. The most diverse, undisturbed and publically valued forests receive higher priority rankings and are targeted for invasive treatment and further preservation efforts. This rating system helps the Park Authority’s natural resource managers determine how to efficiently allocate forest conservation funds. By approaching invasive management from a different perspective this summer, I learned about the details that make such large efforts successful. 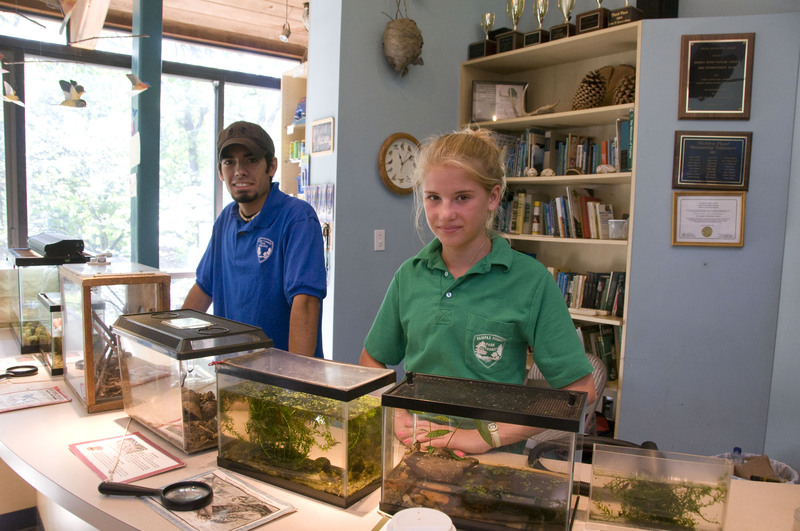 The job as a Natural Resources Intern was packed full of a variety of learning opportunities. Right off the bat, I was taught how to identify non-native invasive plants, signs of a healthy forest, and a good number of common native forest plants. I also had the invaluable experience of working daily with geographic information systems (GIS) to make maps and log points in the field for data use. The interns attended an introductory GIS 101 class to gain additional technical skills. In addition to this everyday hands-on experience, I had the opportunity to participate in deer browse surveys, vegetation plot analyses, rain garden maintenance and water quality assessments. Through experiential learning, I was educated about multiple conservation efforts that the Natural Resources Management Protection Section handles. For example, I was able to see why the overpopulation of white-tailed deer was such a problem when shown the baby oak trees they had hedged down to the ground. While I became most familiar with forest ecosystems, I also learned a lot about wetlands and meadows. At Huntley Meadows Park, we toured the wetland restoration project, walking along the construction site to conduct water quality testing. We also spent a week assessing non-native species in the woods. Another special event the interns were fortunate to attend was a grass identification class held by a group of volunteers, where we were introduced to the huge variety of grasses, sedges and rushes in local meadows. Finally, an insightful talk by University of Delaware professor and author Doug Tallamy, a well-known native plant expert, stressed the importance of native biodiversity in all ecosystems. I am currently going into my last year at George Mason University and am constantly thinking about what I want to do as a career. This internship has introduced me to a different aspect of the local area and to environmental protection in general. I have learned tons about how the county is organized and functions and am thankful to everyone I worked with for being so nice and willing to share their knowledge and resources. Working outdoors to improve the environment in my hometown has been extremely rewarding and has inspired me to improve my scientific and natural resources education. Author Caitlin Lundquist was an intern for the Park Authority’s Resource Management Division in the summer of 2013. This entry was posted in Uncategorized and tagged Caitlin Lundquist, Doug Tallamy, Education, George Mason University, Huntley Meadows Park, Internship, Invasive Plant Removal, Natural Resources Management, nature, outdoors on September 5, 2013 by Fairfax County Park Authority.